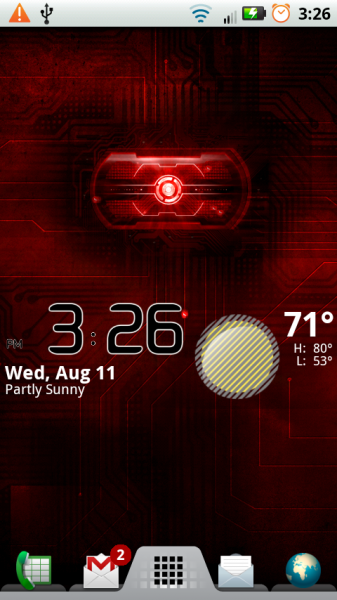 So that Droid 2 live wallpaper that we were raving about earlier today has already been snagged from a D2 system dump and made available to everyone. The screenshot above is the live paper fully functioning on my un-rooted Droid X which as you all know is only running Android 2.1 still. So from what I can tell, this puppy should work everywhere! 1. Download the file above to your SD card. 3. After it finishes installing, back out to a home screen. 5. You’ll see it listed as “Droid 2”. Select it.